Glittered rose napkin ring. Polysilk/wire/plastic. 6"W x 5"D x 4.5"T. Made in the USA. 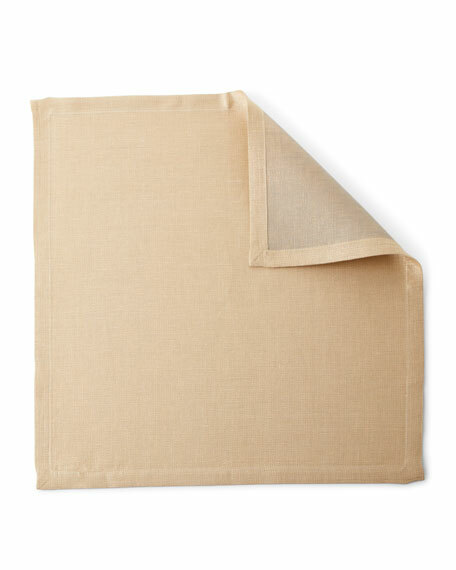 Set of two linen napkins. Metallic cord border. Embellished bee embroidery at corner. 20"Sq. Machine wash. Imported. Cotton napkin, screen-printed with metallic flecked zigzag design. 21"Sq. Machine wash. Imported.